I'm committed to protecting and respecting your privacy. This Policy explains why I collect personal information about people who visit my website, how I use it, the conditions under which I may disclose it to others and how I keep it secure. Enquiries are received via email and phone and sometimes in person. I collect your names, wedding /family/ or photoshoot date, venue and contact numbers. This is all data I need to store to enable me to answer your enquiry and also to photography your wedding/family/photoshoot. If you decide to book, your information is stored on my private email server and a folder on my desktop computer which only I have access to. I will not collect any information from you that I do not need. All the personal data I hold is processed in the UK however for the purposes of IT hosting and maintenance this information is located on servers within the European Union and the USA. The data I collect from you is to be used for the purpose of carrying out the tasks for which we have an agreement for me to do: photography of you and your day / photoshoot. I also make a paper copy in case of computer failure, which is stored in a folder. I will store your data securely until you request me to delete it. I also may communicate with you by email and mobile phone too. I use Namesco Webmail and Vodafone mobile – both of who are GDPR compliant. If you decide not to book, your emails are deleted. Payments are mostly made to me via bank transfer. I don’t see your payment details, only the amount, names and the reference you choose to show. You have the right to access, amend or erase the data that you have provided me with. Please let me know if you need to check anything or if you would like to have anything removed. I will use the above mentioned data to communicate with you about your wedding/ family shoot. It will not be shared with a third party without your express permission. If you have chosen to order an album/print etc, your names and address with be shared with Folio Albums Ltd, Loxley Colour so that the album/print product can be delivered. They are GDPR compliant. If you have booked a second photographer, they will receive a paper or digital copy of your relevant details which will then be destroyed/deleted by 24 hours after your wedding date. If you choose to have your wedding is shared on a blog or in a magazine, they may request your contact details. Permission will be requested from you before this takes place. I do not operate a mailing list. Images of you are stored on duplicate memory cards during the day and backed up onto a computer hard drive when I return home from your wedding or photo shoot. They are also uploaded to an online backup called Crashplan, who are GDPR compliant. I typically store your photographs for up to a year. Your finished photographs are stored on an online gallery provider called Smugmug and protected by a password which you are given when you receive the photographs. If you choose to make the gallery available to your guests, they will be able to purchase prints or downloads of your images. Please let me know if you would prefer this not to be available. Your gallery will still be accessible for your guests to view your images as long as you have made the password available to them. In order to run my business I share online using Instagram, Facebook, Twitter, Google +, LinkedIn and on my websites own blog. 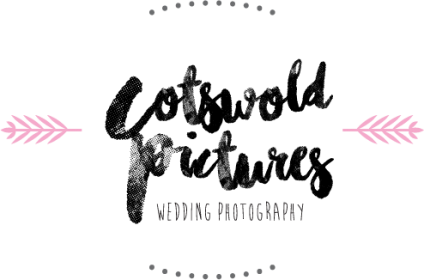 I sometimes use photographs on my business cards, banners and brochures when attending wedding fayres. I also often use GDPR compliant Dropbox as a way of transferring images to social media on my phone. Once posted, these images are immediately deleted. I often share weddings I shot many years ago, so if you have had a wedding shot by me in the past and no longer want me to share them for any reason, you can simply get in touch to withdraw your permission. When signing my usual contract you will be agreeing to opt-in to all of this. However, if you want to withdraw your consent to this you can simply do so via email, this email will be stored and adhered to.